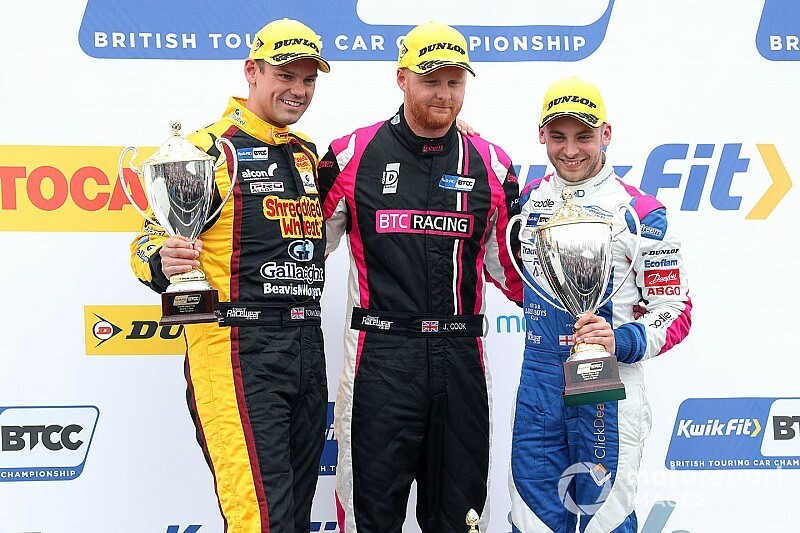 The BTC Racing driver’s decision to start the race on slick tyres paid off as he won by 2.7 seconds ahead of fellow dry tyre runner Jake Hill. Fog over the circuit meant the race start was delayed, and the top nine cars decided to switch to wet tyres. Pole-sitter Ashley Sutton enjoyed a strong launch in his rear-wheel-driver Subaru Levorg GT and maintained position into Paddock Hill Bend. 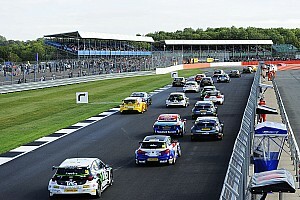 Jason Plato, starting second, was slow away and pulled to the inside to defend from the BMW 330i M Sport of Colin Turkington. That squeeze allowed a fast-starting Andrew Jordan to sweep around the outside of Plato and team-mate Turkington for second as Sutton stretched a 0.8s lead at the end of the first lap. 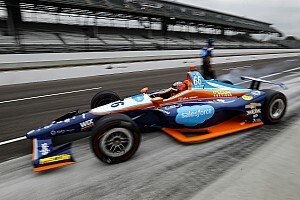 Plato’s fortunes took further blows as the third BMW of Oliphant relegated him to fifth before he was slapped with a drive-through penalty for overshooting his grid box. As a clear dry line emerged, Cook began carving his way through the field from 10th. His ninth lap was a masterclass as he dived up the inside of Oliphant for fourth at Paddock Hill Bend and then passed Turkington under braking into the Druids Hairpin. He also got by the final BMW of Jordan into Surtees before snatching the lead off Sutton on the finish straight as the front of the grid all struggled on wets. Hill’s decision to stick with slicks meant he followed Cook’s progress. But by the time he dispatched of Sutton for second, Cook was 7.9s second to the good. But that gap closed to just 2.7s at the chequered flag of the 24-lap race as Cook had to navigate lapped traffic. He survived a brief scare into Druids when he was hit by Nic Hamilton. The rain returned in the closing stages, allowing the wet-shod drivers to claw back time. 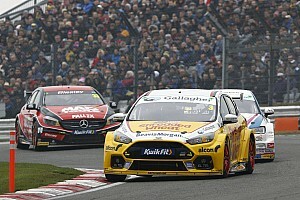 Cook remained clear for the win, however, ahead of Hill and Motorbase driver Tom Chilton who surpasses 1500 BTCC career points having started 13th. Aidan Moffat enjoyed a climb from 23rd to fourth in his Mercedes A-Class – another driver benefitting from slick-tyre grip. Fellow A-Class driver Adam Morgan was followed by Bobby Thompson and Stephen Jelley, who climbed from last to seventh in the conditions, having been excluded from qualifying for failing a ride height check. Neal headed polesitter Sutton and Rory Butcher at the tail end of the top 10. Ingram kicked off the Toyota Corolla’s time in the BTCC with 13th ahead of an impressive debut for ex-Formula 1 driver Mark Blundell. He finished 14th ahead of the lead BMW of Jordan, whose stablemates Turkington and Oliphand wound up 19th and 22nd respectively. Plato’s drive-through was followed by another visit to the pits, this time to switch to slicks. That lost time meant he finished 25th, last of the finishers.